Manuel Alexander School (MAS) is the first school of Mekaela Academies. It is a primary school for classes 1 to 8. 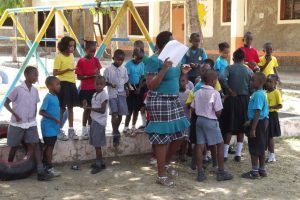 The school includes two kindergarten classes and a baby class. MAS is a day school, i.e. the students come to school on foot, with their parents or one of the school buses of the Mekaela Academies. The founders of the Mekaela Academies had bought the property in 1993 and organised the construction of the first buildings and the recruitment of the first teachers for the most part from Germany (for the younger readers: at that time, Internet, email and mobile phones were still unknown). It took three years before the school could be opened with only 30 children. Almost all of these 30 students are now working and have families of their own. Most of them stay in touch with the school and are members of the Mekaela Academies alumni network. In the following years, MAS was extended to 11 classrooms, a library and a computer lab. In April 2015, a short circuit caused a fire that destroyed the entire school. 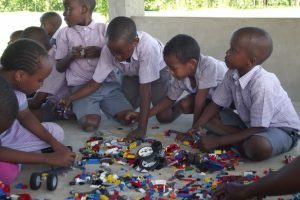 Thanks to the great helpfulness of friends and sponsors of the project (and an insurance compensation) the school could be completely rebuilt by the end of that year. 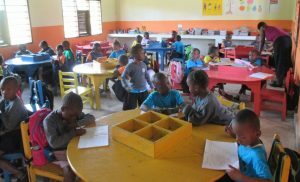 In the year 2018, thanks to a donation from the Fly & Help Foundation, an ECD school (early child development) complex with 3 classrooms was added. Today, MAS has capacities for about 400 students. 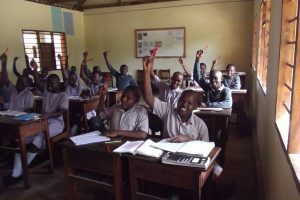 The school employs 30 people, about half of whom are teachers.